The 200th anniversary of Lincolns Birthday has sparked a new interest in this series and this date is getting harder to find in higher grades. PCGS was this listed at $110. Although it's not listed as cleaned, to us it looks like it has been cleaned and is starting to tone. I think this coin would have better eye appeal if it completely turns brown. 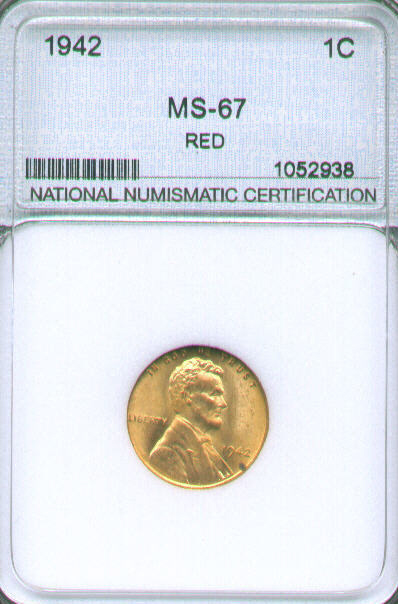 NNC gave this unattractive coin a MS65. 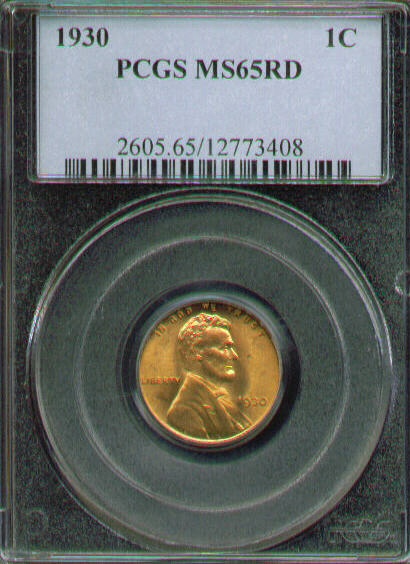 Here we have a 1930 wheatback cent in a PCGS holder. Bright red in color with just a couple small spots that kept this from grading any higher. 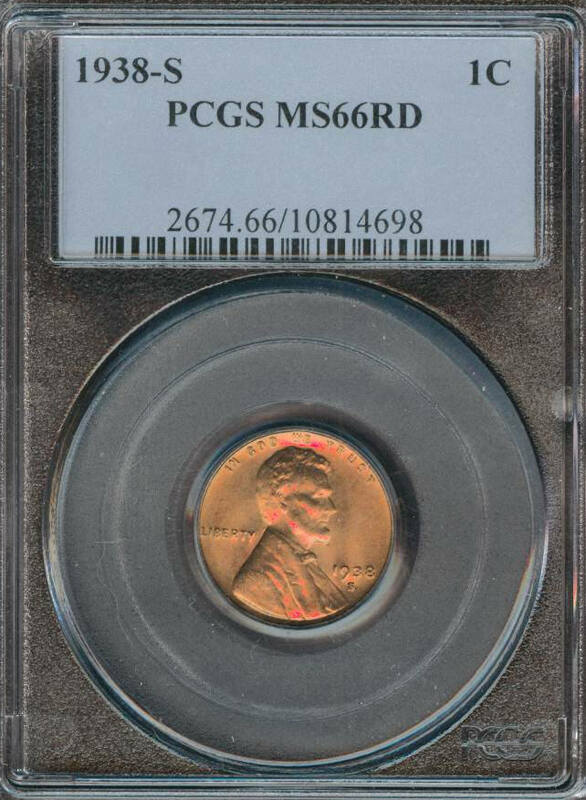 Another 1930 wheat back cent in Mint State condition. 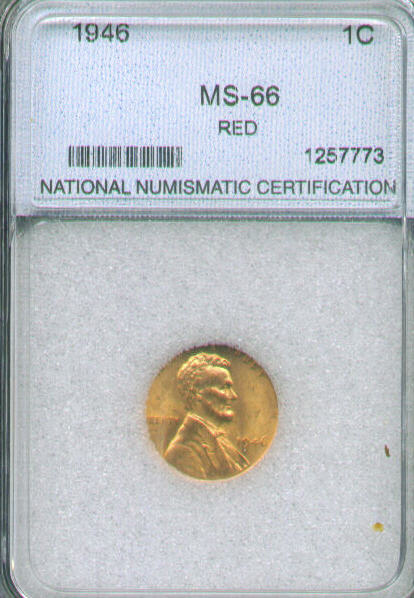 This one is in a NGC holder and was given an impressive Mint State 66 red. Coin Values has this listed at a whopping $125 but here it will cost you $85. This coin has razor sharp details, bright orange luster and Mint State 66+ fields. 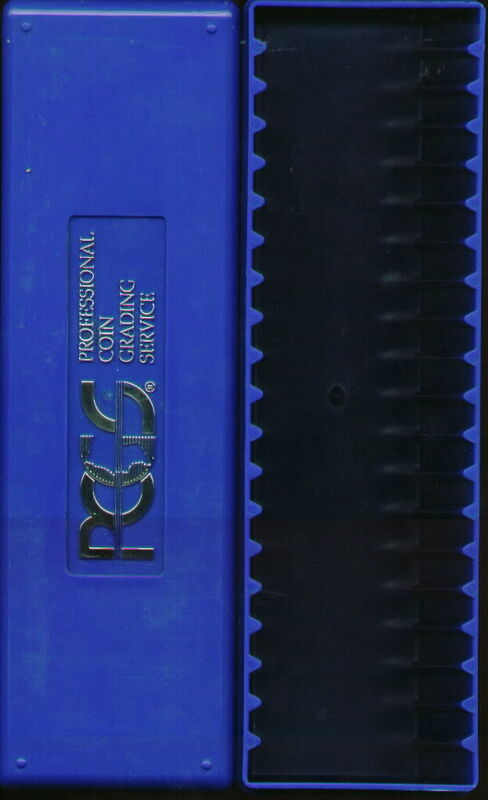 It's in a trusted PCGS holder and would look great in any collection. The bright red spots is from the scanner, coin has even natural orange in color. 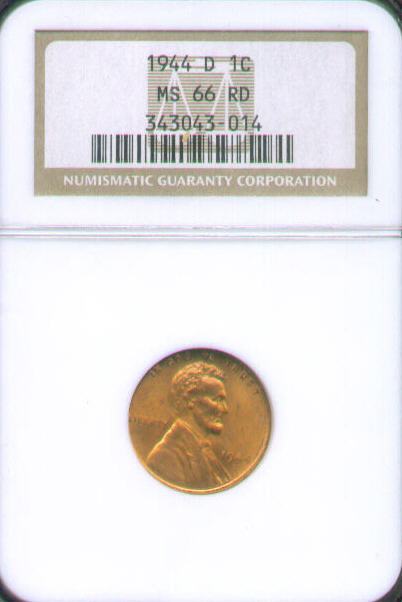 Here we have a 1939 D graded back in the early Nineties. It was given a grade of Mint State 66 red. It has a slight blue tone highlights on Lincolns profile and the bottom half of the reverse has a electric blue tone. 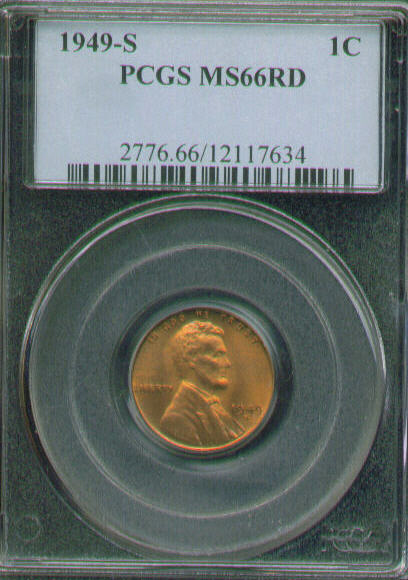 Here we have another beautiful two toned (light and dark orange) wheat back cent. The front changes color for top to bottom and actually has streaks across the profile at a 45 degree angle (strange). Another nice looking 1940 S minted wheat cent. It has a orange brown look to it and displays minimal bags marks. It's graded by NTC as Mint state 67 red. 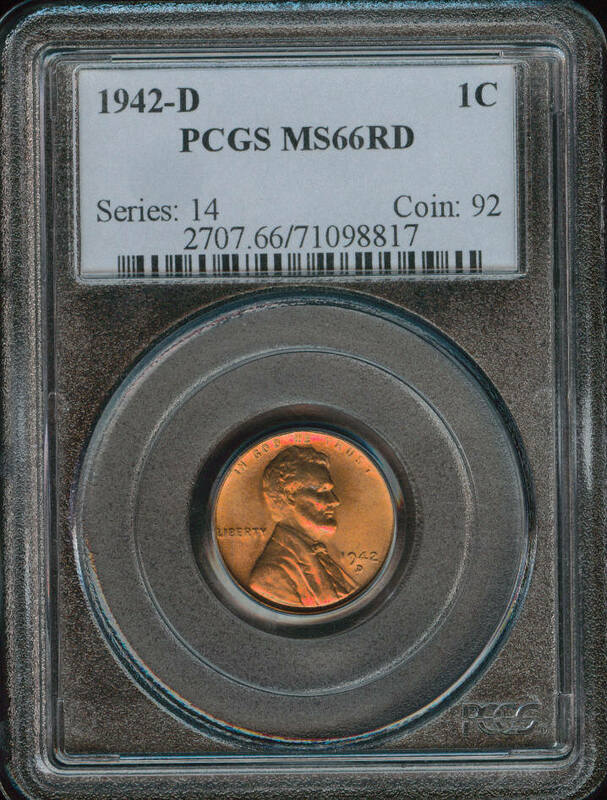 This is an amazing example of a 1941 wheatback cent. It has razor sharp details, no nicks or bag marks and blazing bright red in color. 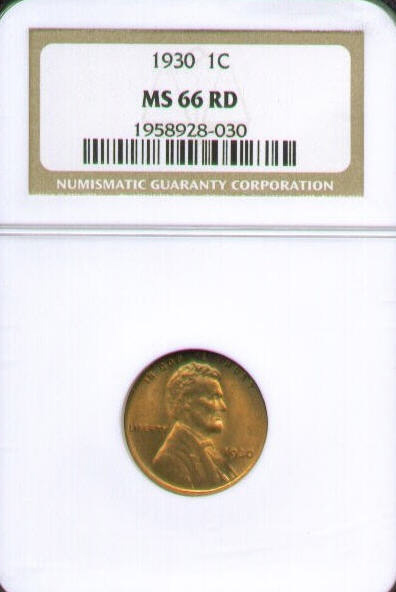 This cent is graded MS-68 by NNC. This coin has killer eye appeal, fresh mint luster and a razor sharp strike. This coin would be a nice addition to any collection. 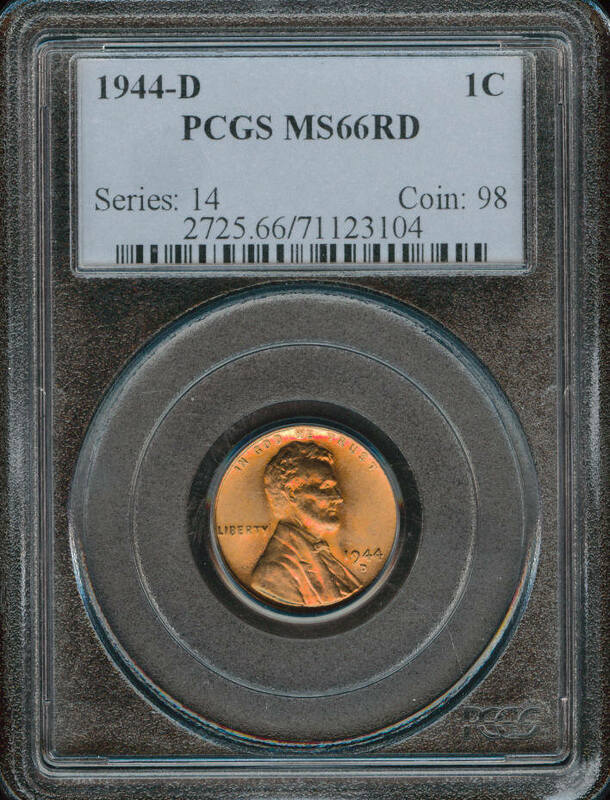 An impressive high-grade Mint State gem wheatback cent in a new American's oldest Grading service holder (ANACS). We have 2 of these available. This is an amazing example of a 1942 Denver minted wheatback cent. It has razor sharp details, no nicks or bag marks and blazing bright red in color. 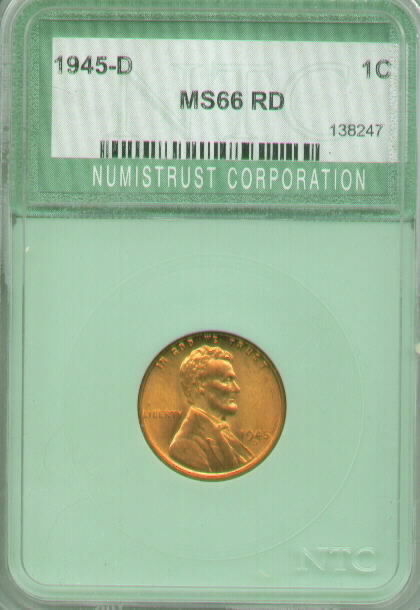 This cent is graded MS-68 by NNC. This Denver minted wheatback cent is graded and authenticated by PCI. They gave this coin a grade of MS67. Coin World trends this at $100.00. Grab this certified example for only 39.99. 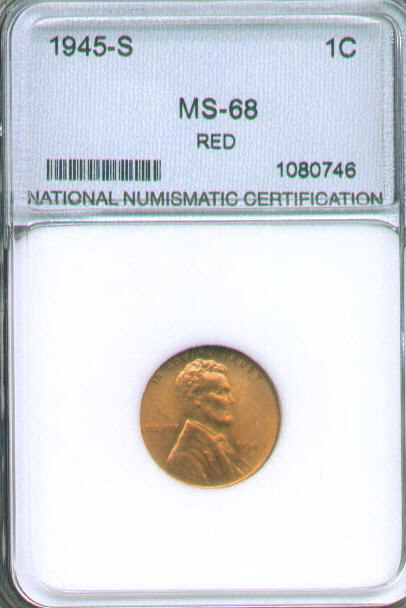 This coin has razor sharp details, bright orange luster and Mint State 66+ fields. It's in a trusted PCGS holder and would look great in any collection. 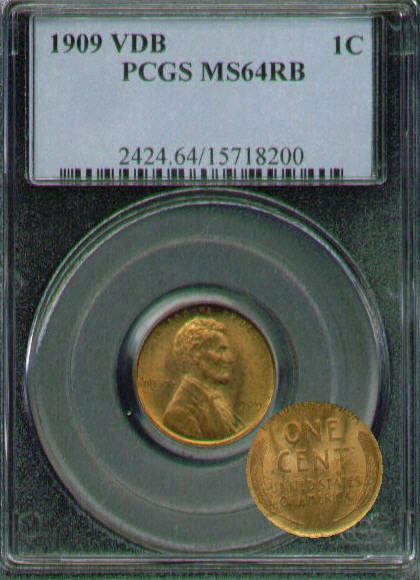 An impressive high-grade Mint State gem wheatback cent graded by NTC. Not only does this coin have killer white mint luster, but it also has a mint error (not listed on slab). At the base of Lincoln's profile there is a die crack across his whole arm. This coin has an amazing razor sharp strike, all the details are bold with no weak spots. 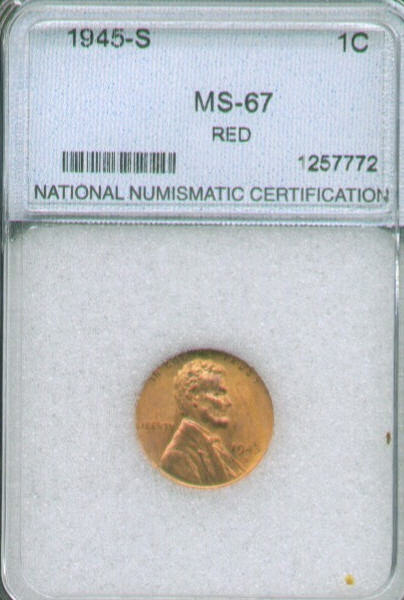 It was graded by NGC as MS-66, it is full red with only one spot one of the wheat stacks on the reverse. 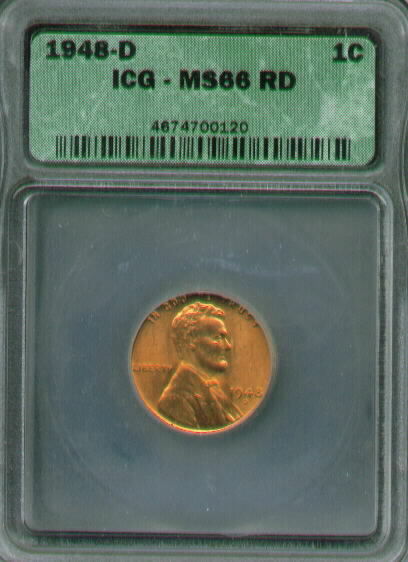 Here we have a nice 2-toned example of a 1944 Denver minted wheat cent. It has a strong stike and virtually mark free fields. 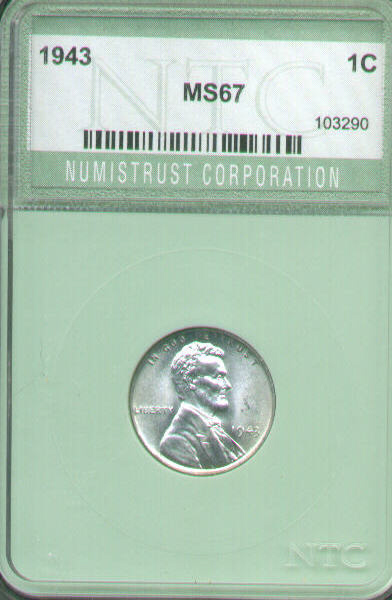 It's graded by NTC as Mint state 67 red. 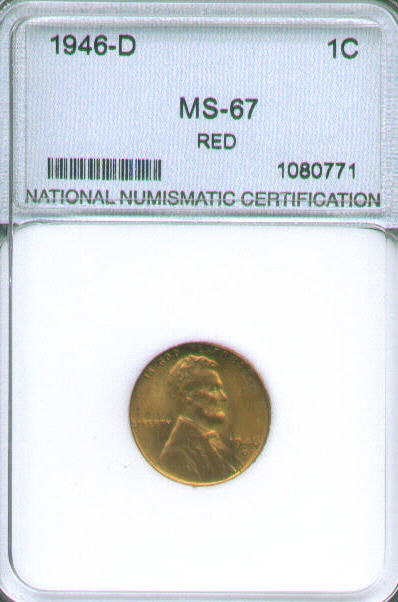 PCGS authenticated this coin as original non-cleaned Mint State 66 Red. It has a bold strike, deep red in color and was minted in Denver. 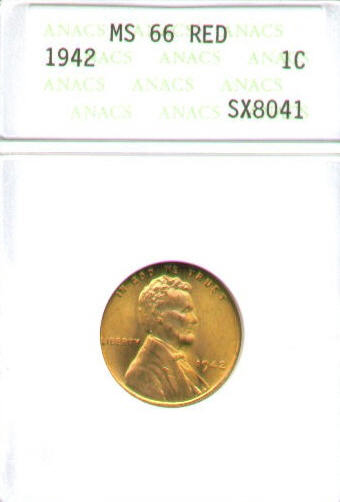 An impressive shell-case brass example in a new American's oldest Grading service holder (ANACS). 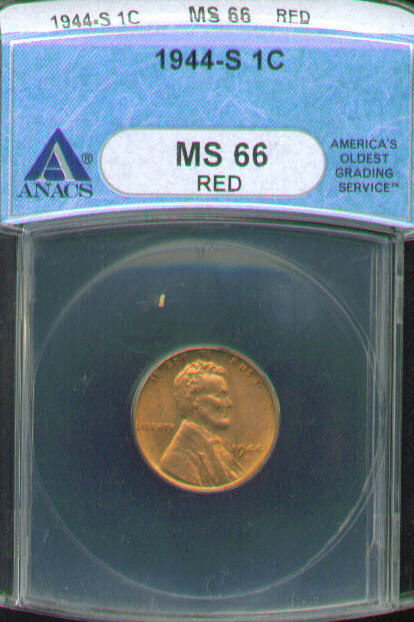 This graded this coin as Mint state 66 red. 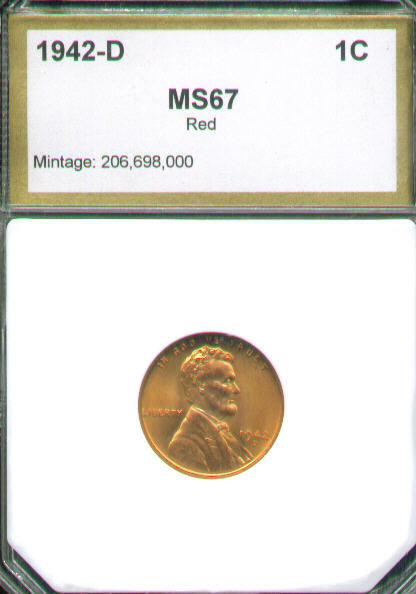 This coins has a bold strike, MS67 fields, and deep red color. Cents made between 1944 thru 1946 were made out of shell-casing from world war 2. 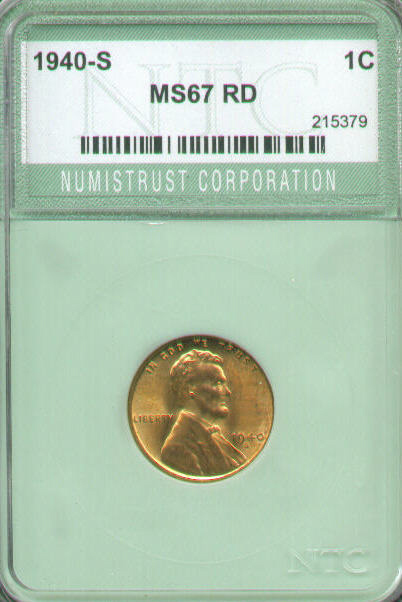 Here we have a high-grade Mint State 66 gem in a NumisTrust Corp. holder (NTC). 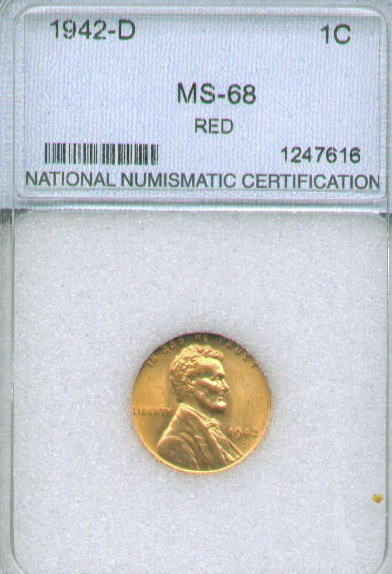 This coin has nice mint luster, strong strike, and mark free fields. 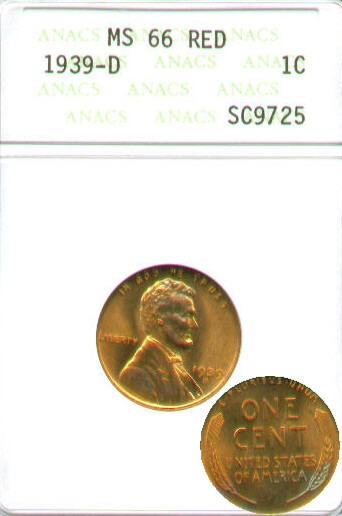 A good chance to get a "shell-case brass" cent at a reasonable price. 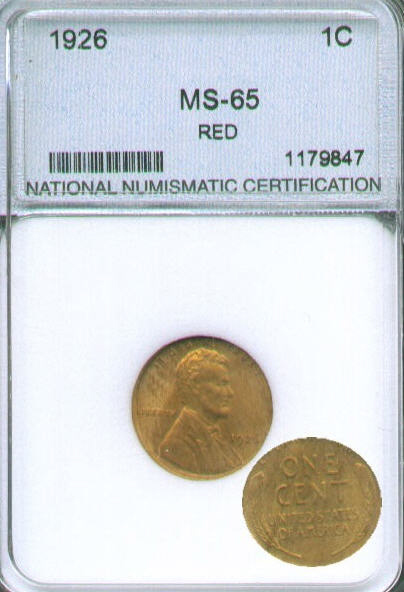 This 1945 wheat back cent has rich deep red color and virtually mark free fields. 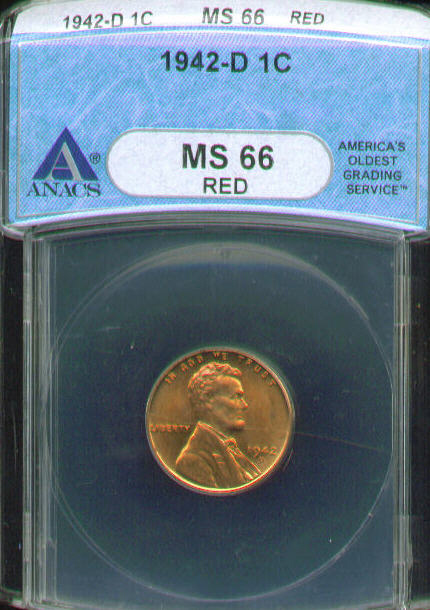 NNC gave this a grade of Mint State 67 red. 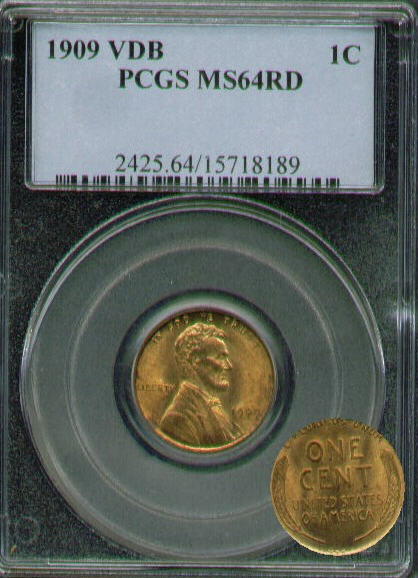 A nice example of a shell case brass cent for under thirty dollars. 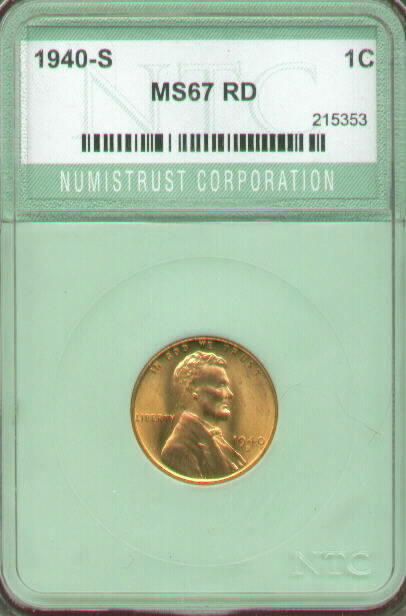 An impressive ultra high grade example of a shell-case brass cent. 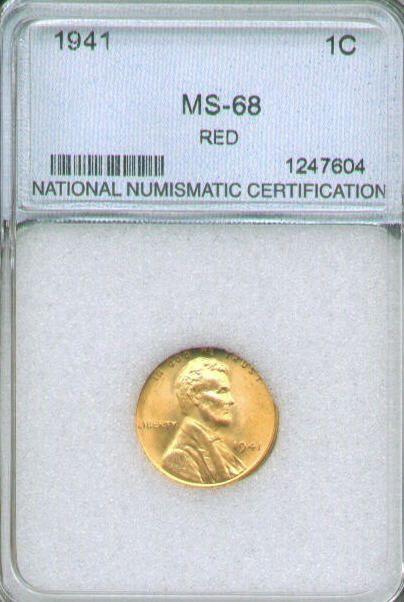 National Numismatic certification grave this a lofty grade of Mint state 68. The next shell-case brass example is a 1946 the last year the US mint used brass shell casings to make cents. 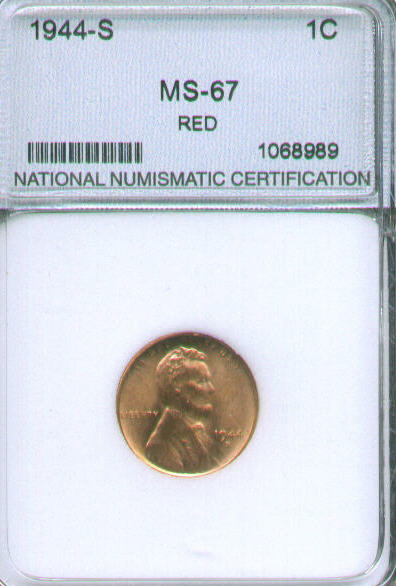 This one is graded by NNC as Mint state 66 red. This coin was the last year that US Coins were made out of the shell casing from world war 2. Even though NNC gave this a high grade, it has several carbon spots (more then usual) and uneven color, so we are dropping the price to only 17.99. 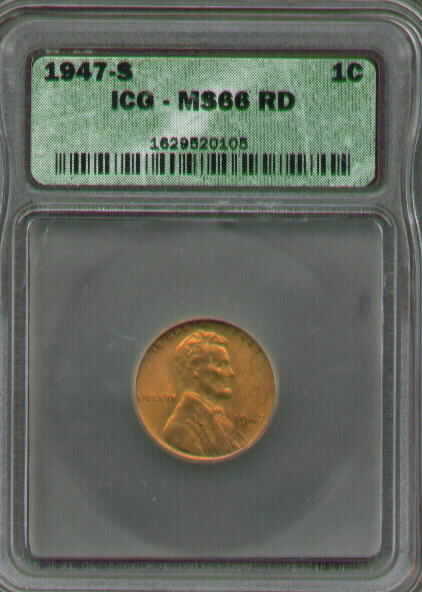 This ICG certified Abraham Lincoln cent was the first year back to the bronze alloy after three years of "shell-case brass". This coins red is a little dark but still red enough to keep the "red" designation. An impressive high-grade Mint State gem in a Independent Coin Grading holder (ICG). 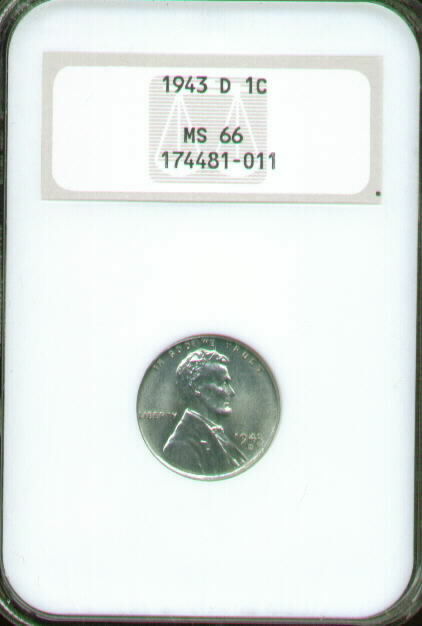 This coin has nice luster with mint state 66+ fields. 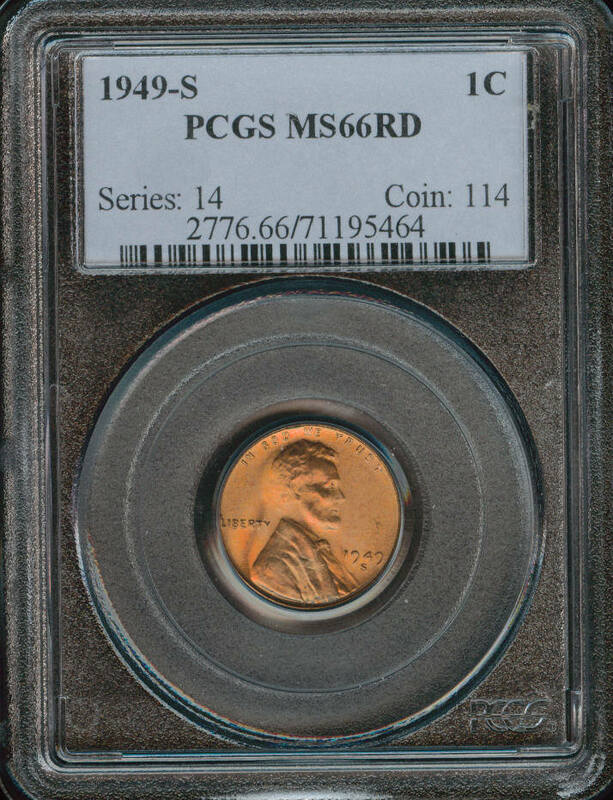 A beautiful example of a 1948 S Mint State gem penny in a Professional Coin Grading Service slab. 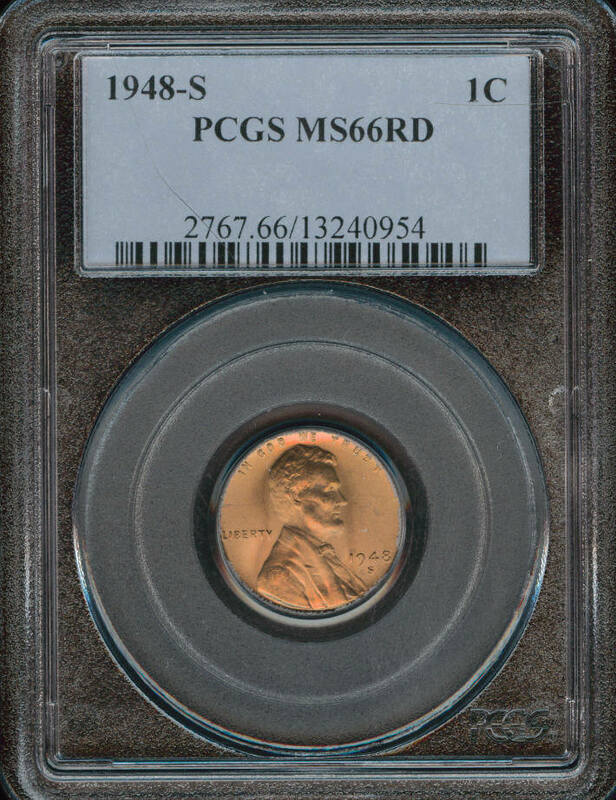 PCGS gave this coin a grade of Mint State 66. This coin has nice luster with just one carbon spot on the his cheek although it almost blends right in. 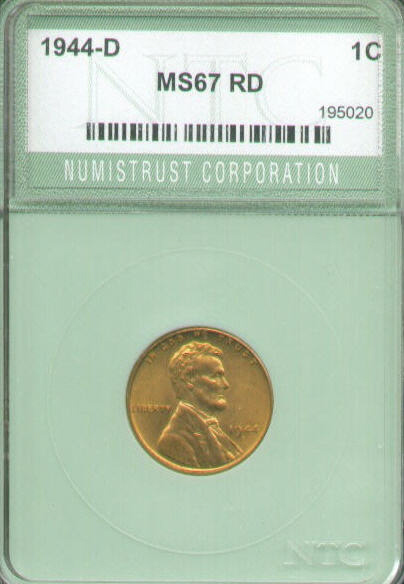 A high-grade Mint State gem in a Independent Coin Grading holder (ICG). 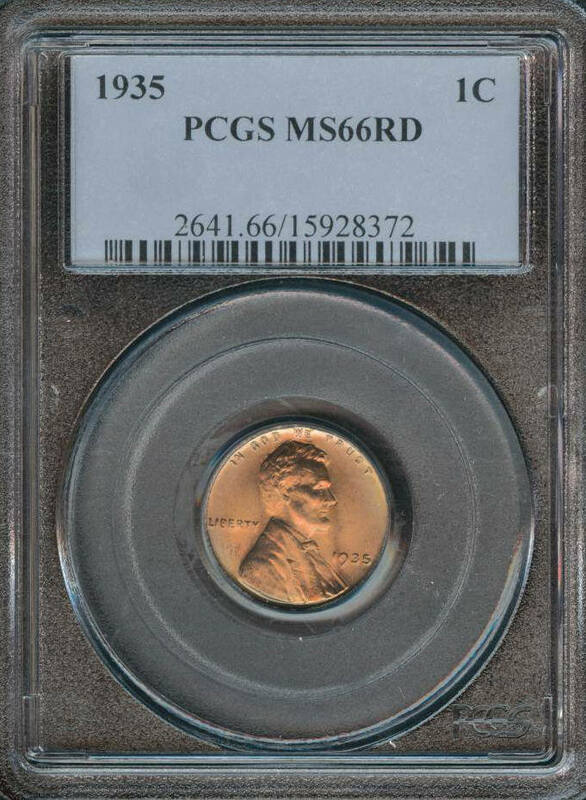 I'm kind of shocked that PCGS gave this coin such a high grade. There is a couple spots on the obverse fields that looks like someone took a brillo pad to (major hair line). It's also starting to look more like a Red/brown rather then the red as listed on the slab.